New York’s July 21-25 heatwave hit all of city, but only in Upper Manhattan did hundreds of residents lose power for an entire day. As temperatures spiked to 95 degrees on July 24, more than 1,000 East Harlem residents were unable to turn on their air conditioners or fans. The outage may not have been a passing inconvenience, but rather a harbinger of a much worse failure to come. “The problem is the electricity distribution system is on the verge of collapse,” said Isaiah “Obie” Bing, a member of Conservancy North and a retired Con Edison engineer who spent his career working on the Upper Manhattan networks. The blackout, caused by a high-voltage fuse that shorted the network on the evening of Saturday, July 23, is indicative of a larger infrastructural problem in Upper Manhattan that Bing maintained ConEd has not addressed for more than a decade. An overcrowded network of 100-year-old cables is more likely to short out in extreme heat, which puts Harlem, Washington Heights and Inwood residents at greater risk of brownouts, blackouts and explosions. The Upper Manhattan distribution system, the network of feeder cables that route electricity directly into individual buildings, is the oldest in the nation. Its cables have not been replaced since their installation before World War II, according to Bing. The lead cables are encased in fluid that protects them from overheating. But when the insulation ages and temperatures rise, the fluid breaks down and leaks into the wiring, which causes the system to shut down. Feeder cables in Harlem, Washington Heights and Inwood shut down 80 percent more often than the other networks in Manhattan, a New York Times study of Con Edison reports found in 2006. 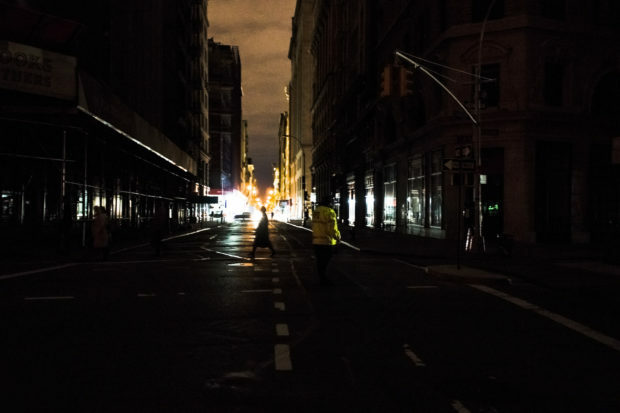 The poor state of the Northern Manhattan electrical infrastructure first became apparent in 1999 when more than 200,000 people above 155th Street lost power for 19 hours. It was the worst blackout since 1977 and it coincided with a heatwave that killed 27 people in one week. A resulting investigation by the Office of the Attorney General and the Manhattan Borough President’s Office found that Con Edison had done little to prepare for unusually hot summer that would require extra electricity and put excess strain on the system. Con Ed was ordered to replace the old equipment, improve its monitoring systems, and make detailed status reports available to the public. “They didn’t do it,” said Bing. Is Con Ed oversight sufficient? Con Ed has been able to avoid updating the system because they are a private company, according to Bing. Con Ed is required to submit annual reports to the Public Service Commission, a watchdog organization that oversees New York State’s utility organizations, but it is not required to provide detailed financial documents. The lack of oversight, said Bing, makes it difficult to enforce official recommendations. And instead of replacing the aging feeder cables, Con Edison has begun to lower wattage during heatwaves and caution residents not to run their appliances or air conditioning units at full power, as it did during the blackout in East Harlem last month. That service is a vital one, especially in the summer. Bing worries that the urban heat island effect, when city streets and buildings absorb and transmit extreme heat, is only going to worsen the problem of the quickly decaying electric system, a system that only becomes more vital as urban heats get worse. Posted in Harlem Heat and tagged with Adaptation, disaster preparedness, Harlem, health, heat, heatwaves, infrastructure, Manhattan, resilience. RSS 2.0 feed.